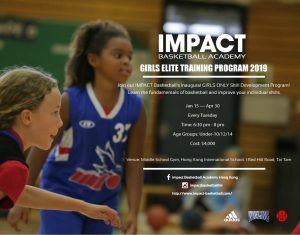 Welcome to our IMPACT's Inaugural GIRLS Basketball Skill Development Program! Join to receive intensive training from Coach Tyler and our IMPACT Coaching Team. Get in top basketball shape for the new season! 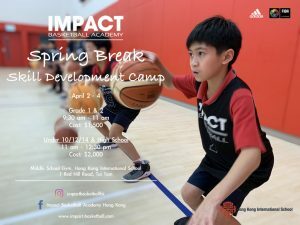 IMPACT Summer Basketball Camps are returning at Hong Kong International School! Reach your full potential with IMPACT Basketball Academy. Check out all the exciting moments from the recap of our Inaugural IMPACT Basketball All-Star Event on January 10-11! 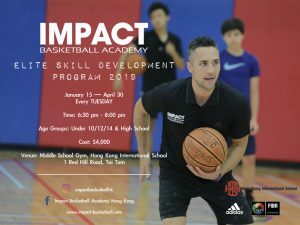 Train with an Elite Basketball Academy in Hong Kong. Take your game to the next level with Coach Tyler Kepkay and thrive on the basketball court!